The thought of actually accomplishing some items on my bucket list scares me to my very core. One of them is bobsledding. 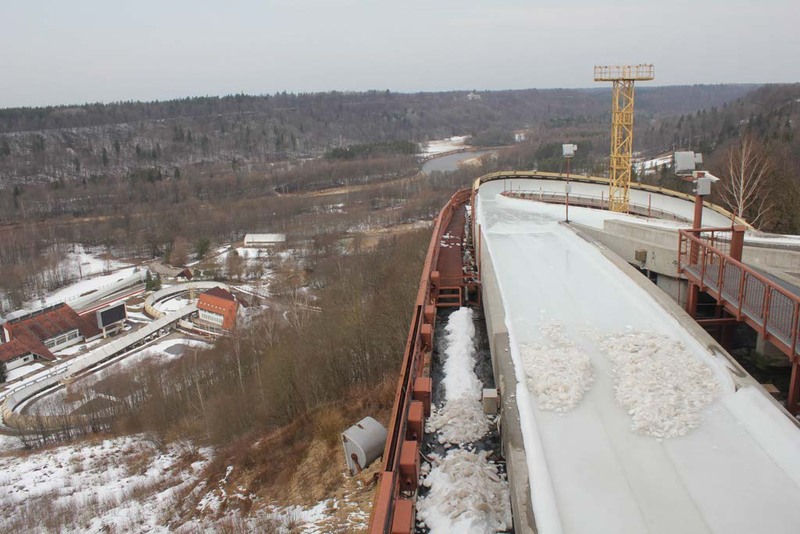 In Sigulda, Latvia the track is 1420 m; it features 16 curves and allows for a maximum speed of 125 km/h. That’s insane. Who says, “I want to get into an open-aired vehicle and zoom down an ice track at 125km/h?” I couldn’t leave it to the unknown though. I had to give it a try and see how intense it was for myself. Now I can say with firsthand experience it actually is insane. What a rush! 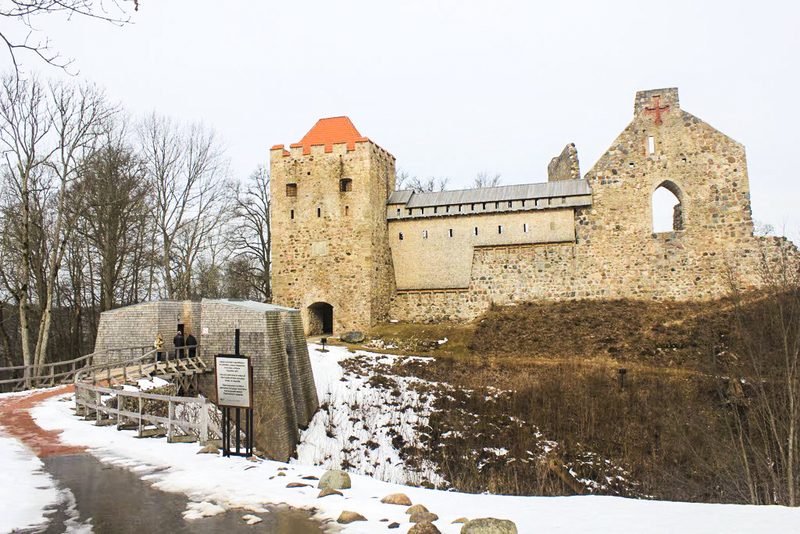 We drove from Riga, Latvia to Sigulda and toured the Sigulda castle ruins and I was promised a fun surprise even before bobsledding. Needless to say, I was like a kid on Christmas Eve. I was already crossing one item off of my list that day and now a surprise; heck yes! I love Latvia! 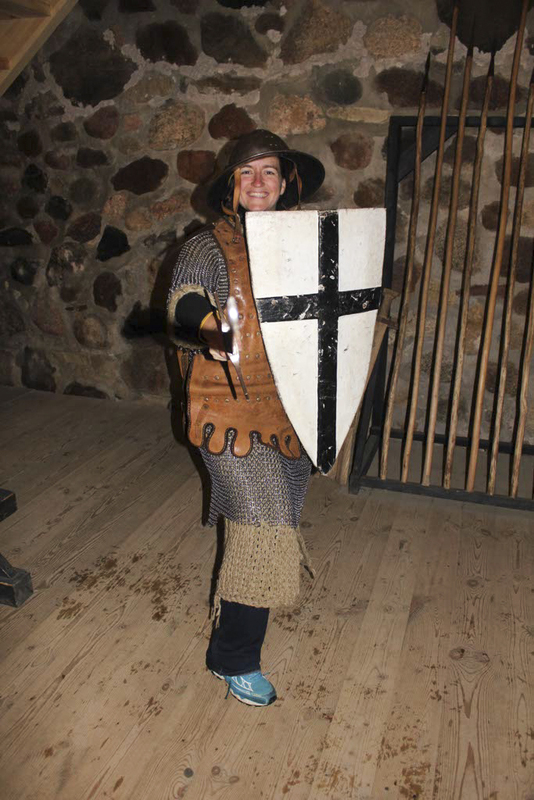 At the castle, I was able to try on medieval armor worn for battle in Sigulda. Then, we practiced warfare. 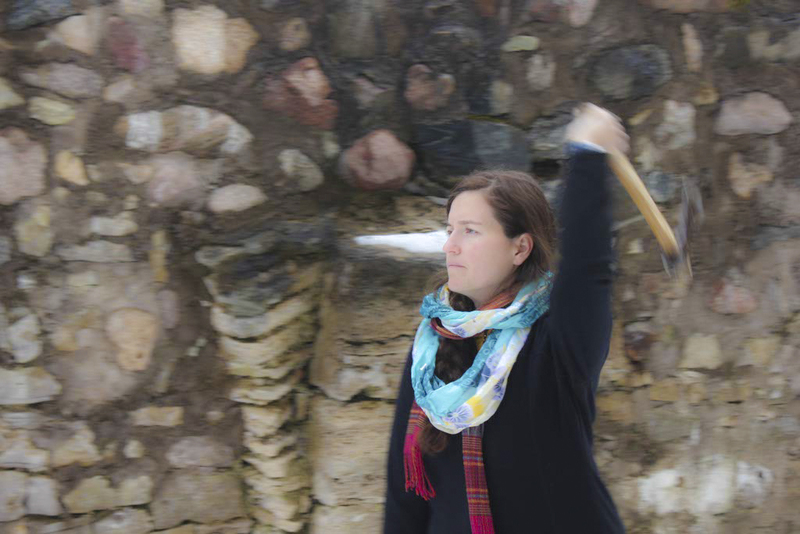 Archery, axe throwing, and spear throwing were all part of the program. I beamed with delight. I love interactive experiences. What a treat to learn how to throw a spear and an axe properly. Not that I use those skills on a daily basis, but learning anything new is a great way to spend the day. 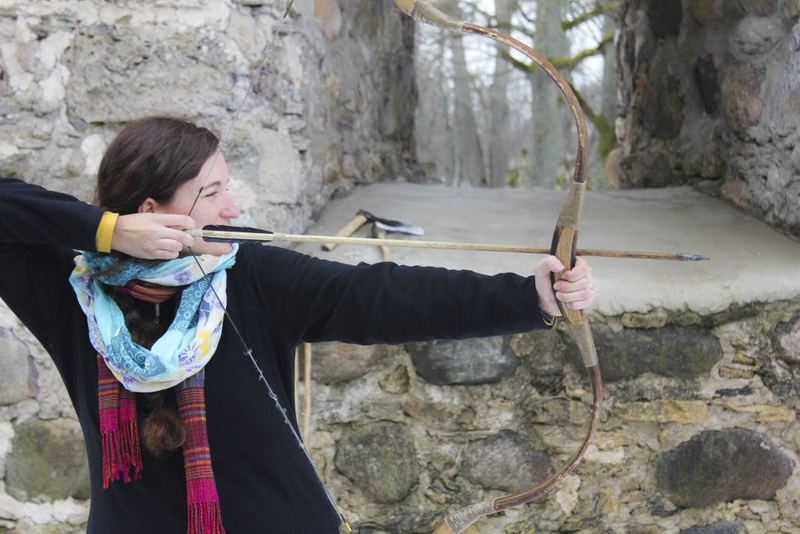 The archery was my favorite; I could have practiced for hours, but my frozen hands disagreed. 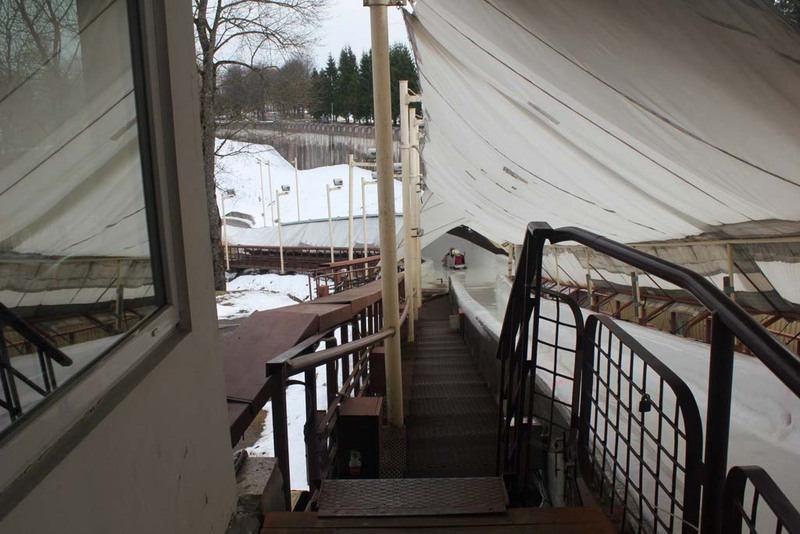 When we left the castle, we passed the bobsledding track and I wasn’t sure where we were going. 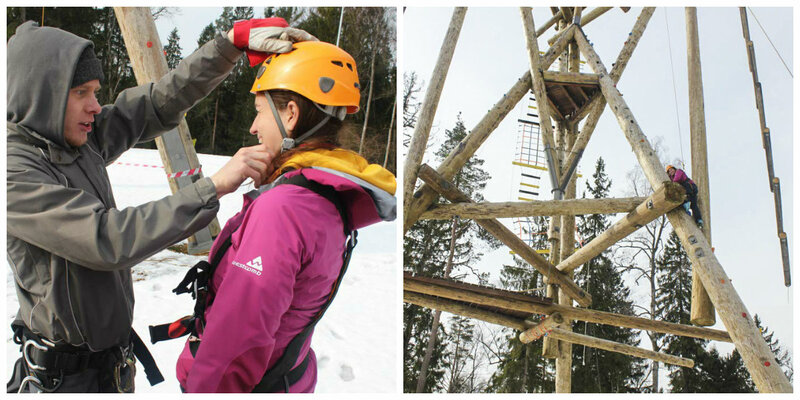 We came around a turn and I noticed a massive climbing structure and I couldn’t stop smiling. The castle warfare wasn’t even part of the surprise, although I was totally impressed with it. 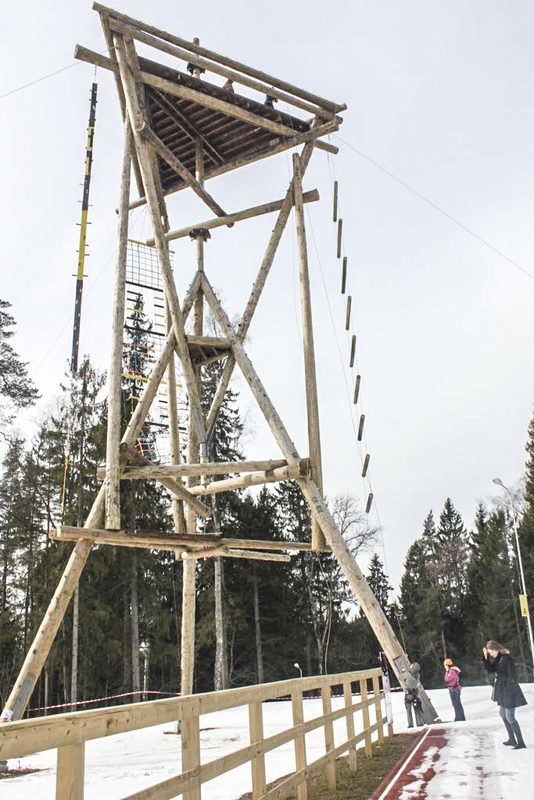 The 120 m tower was set up like an obstacle course with different routes to the top. I chose the easy route, only climbed half way, and was still proud of my accomplishment. It was quite difficult for an inexperienced climber like myself, but if Darren had of been there to encourage and push me, I would have most definitely gone to the top. It’s amazing when we can do with our partner’s support. I’d realized just how much I missed him. By the time I got to the bobsledding track, I was already overly pleased with the day. 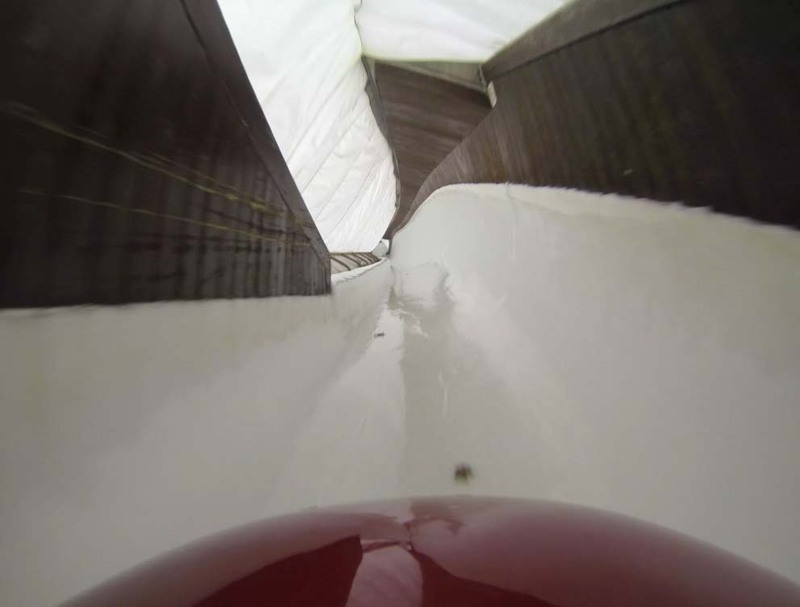 Smiling, I jumped in the bobsled and listened carefully. We were given instructions, with the basic gist of hold on and try to keep your head up rather than haphazardly flopping about, and off we went. Our ice rollercoaster took off like a flash and zipped down the track at unbelievable speeds. Just when I thought, “This can’t possibly get any more intense,” we were thrust into another turn. Turn after turn, my head and body shifted from side to side. The G-force was incredible. Keeping control of my head was no longer an option. It was being pulled down as if an elephant was standing on my neck. I noticed my helmet was against the girl’s back in front of me but I couldn’t lift it up. It was a whirlwind. Insane. Complete loss of control. How do they manage to keep their heads up? How do they manage to be in control of their body movements? How? How? Please any true bobsledders out there I’d love to hear from you. You are a God with impressive talent and skill. Yet another surprise, I was given the chance to try it again. This time I had even less control. I was exhausted in the end. Running a marathon would be the equivalent. I got in the car and rested my head against the seat. Filled with adrenaline and excitement over my adventure, I was ready to eat. It had given me a new appreciation for the sport. I’ll look at bobsledders with awe every time I see them. Did You Ever Consider Latvia as a Beach Destination? Yours and theirs certainly puts the bug in some of us! First of all, it’s awesome that you have bobsledding on your bucket list. Second, that looks like the coolest, yet scariest, thing ever. How fun! Good for you for making it happen. We all need to get outside our comfort zones and do these kind of things more often. 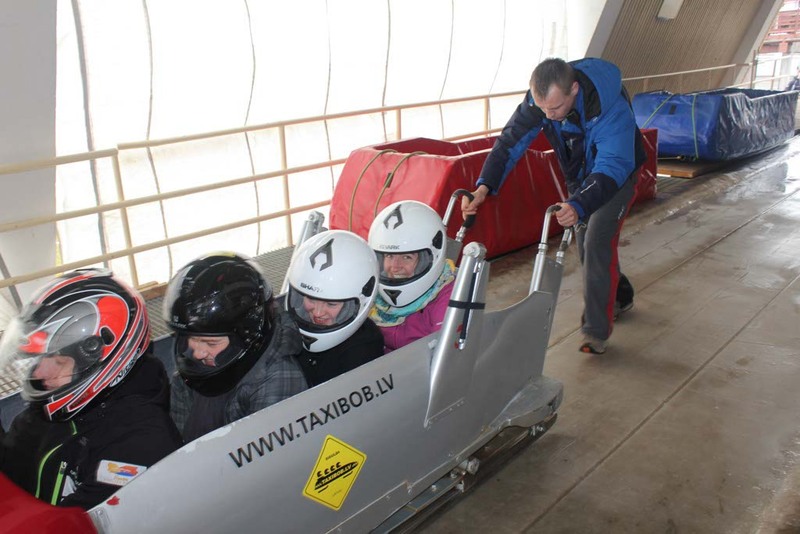 I had never heard about bobsledding before and I’m pretty sure I’d not want to try it because I’m terrified of speed. I can’t imagine what it must have felt like to not have control of your head, which tells you I’ve never put myself in a similar situation (or a rollercoaster even). Good on you for being brave enough to do this twice! Congrats for make it happens. It’s also get time when you could break the fear and the result from that it’s most of the times lot of fun. How is archery? We saw it at the Nadaam Festival in Ulan Bator (Mongolia) in July and were in awe of it. It looks easy at first then you quickly realise there’s a lot more to it! I love archery! I’ve done it a number of times now and I’m starting to get the hang of it. It’s fun from the first moment though and worth trying. Even your pictures made me nervous! This is definitely something I would love to try, even though I didn’t know it before reading this. It sounds very exciting to say the least. You are so much more brave than I am! By the way, I’m super impressed by your archery form – you look like a real pro. Sounds like an amazing adventure, and one I’m sure you’re bound to cherish for a while yet! I would love to have the chance to give Bobsledding a go – Cool Runnings was a favorite film for a while there! 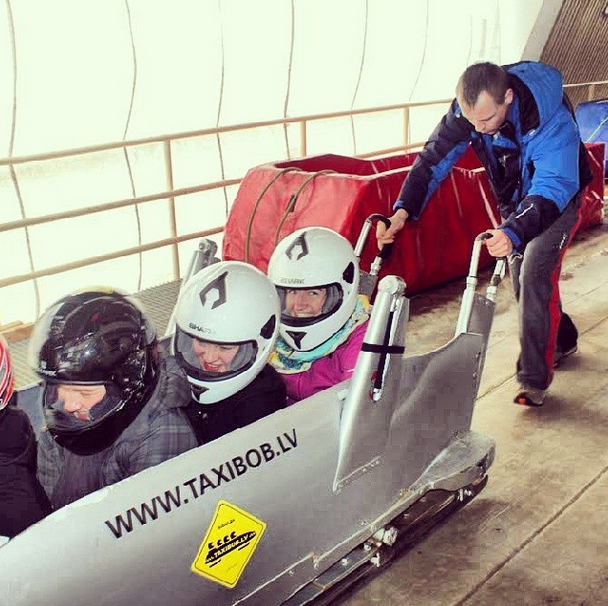 Though I had never thought about adding bobsledding to my actual bucketlist. It’s there now!